As the weather grows colder and we slink indoors to seek sanctuary, warm and hearty meals become more appealing. And since everyone is basically in the same boat, that creates a perfect opportunity for folks to get together share some savory soups! Of course, Puget Sound Marijuana, has plenty of tasty edibles and potent pot options to go along with your hot meal, so stop by beforehand to keep you and your guests elevated. First thing’s first. Unless you’ve got a pantry stocked like Martha Stewart, it’s likely you’ll need to make a quick trip to a local grocery store. Fortunately, QFC off of Mukilteo Speedway is less than five minutes away from Puget Sound Marijuana, and provides crisp local produce, a fantastic wine selection, and awesome extras like bulk treats. For inspiration, we looked at Delish’s list of must-try autumn soup recipes and picked three we found absolutely irresistible. The first recipe which caught our eye was the Pizza Soup, because, well, Pizza Soup! Need we say more? This rich and filling option is whipped up with a strong serving of garlic, tomatoes and mushrooms, and is topped with crusty bread and creamy mozzarella. 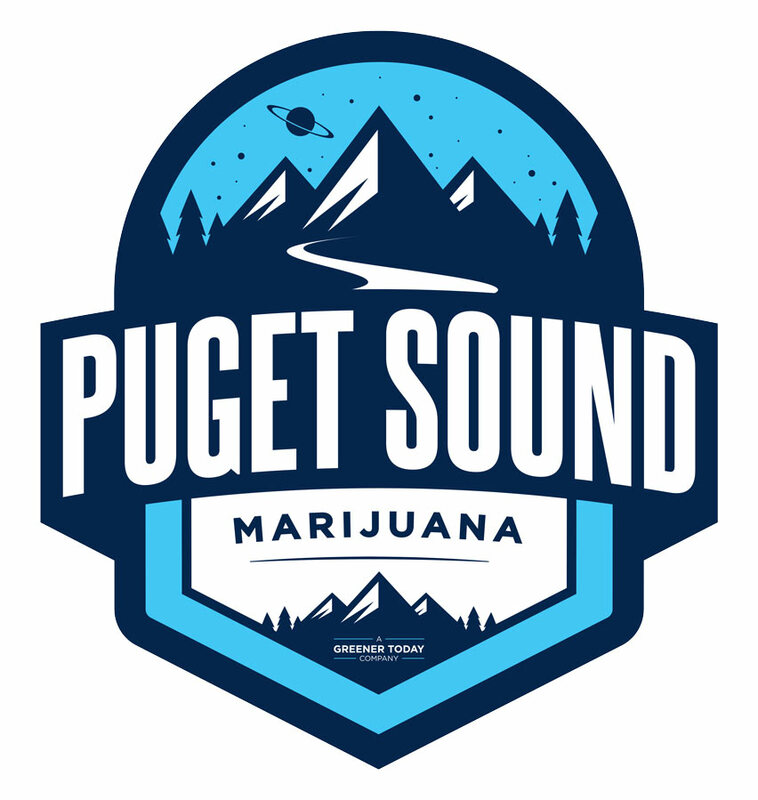 For a pairing, budtenders at Puget Sound Marijuana recommend a nice indica-leaning hybrid like Royal Kush cured cannabis flowers by Soulshine Cannabis. This soothing strain will make you so hungry, you scarf a gallon of Pizza Soup and still call Spiro’s afterward for an Italian sausage-heavy Number Eight. Following the theme of making a stoner staple into soup, why not try it with nachos too? Hey, you know the flavors already work together! We recommend pairing this Spicy Nacho Soup recipe with a toke or two of Northwest Cannabis Solutions‘ Dabtella Wax, as the balanced and cerebral effects of the potent pot concentrate will keep you elevated while you spend 25 minutes whipping up this south-of-the-border specialty. And given the quick cooking time, you’ll have plenty of time to chill with guests, as opposed to toiling away in the kitchen. Seeing as this is a blog about harvest soups specifically, it’s a practically a requirement to feature something with pumpkin! 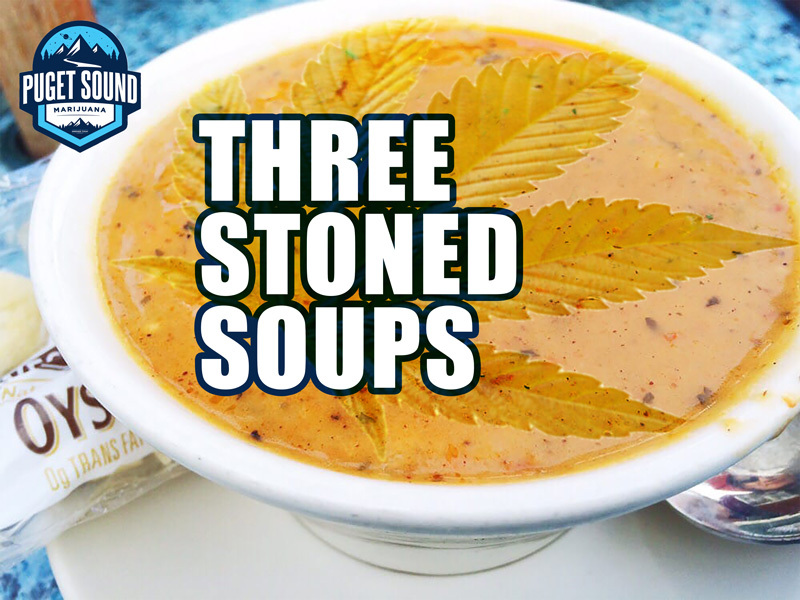 This Roasted Garlic Sage Pesto Pumpkin Soup with spicy fried pumpkin seeds covers all the fall favorites, and because of its gourmet flavors and intensive prep process, this deserves to be paired with a cannabis product fit for a connoisseur. Phat Panda makes an Animal Cookies pre-roll that promotes imaginative and blissful feelings, and is also known to jump start an appetite. Smoke one of these amazing joints while you’re waiting for the seeds to roast or perfecting the pesto. We guarantee it’s a culinary experience you’ll want to repeat time and time again. If you’re not feeling in the mood to cook something up yourself, or you’re just feeling adventurous, mosey down to Ivar’s Mukilteo Landing for the best seafood soups you can find in the area! Ivar’s is a great option for larger groups, because there’s really something for everyone here. From the Coconut Crusted Prawns, to the Fried Northwest Platter—which features cod, halibut, prawns—to the Half Pound “Prime Ground” Cheese Burger, everything is made with fresh, quality ingredients. Plus, it’s a Northwest tradition, so embrace the chill in the air and let the kitchen staff warm you up!